The first full operational capability (FOC) Galileo satellite has survived the most difficult of all the environmental tests “with flying colors,” according to the space vehicle’s manufacturer OHB-System, of Bremen, Germany. Over a period of four weeks, the satellite known as “Doresa” — named after a German girl, Doresa Demaj, whose entry won a painting competition sponsored by the European Commission — was tested under the most severe space conditions imaginable in the thermal vacuum chamber at European Test Services (ETS), the OHB team reported today (November 27, 2013) from the European Space Agency (ESA) ESTEC facility in Nordwijk, Netherlands. “The successful thermal vacuum test marks an important milestone in ‘Doresa’s” voyage into space and for the entire project. With the positive completion of environmental testing, the entire satellite design has passed its most important technical challenge,” said OHB’s Galileo project manager, Pascal Knobloch. ETS operates the testing facilities. OHB System is the industrial prime contractor responsible for the 22 Galileo FOC satellites contracted by ESA to date. The OHB team installed the equipment specifically required for testing the satellite system in the thermal chamber. Originally planned for a dual-satellite launch earlier this year, Doresa now appears likely not to reach orbit until mid-2014. The thermal test is considered to be the most critical part of environmental verification testing. For this purpose, the satellite is exposed to extreme heat and cold in a vacuum chamber, where its functions are tested under space-like conditions. Doresa and the second FOC satellite “Milena” — named after Estonia’s Galileo drawing winner Milena Kaznatsejeva — have also passed mechanical qualification tests for launching on board a Soyuz rocket. These latter included separation and shock tests from a representative launcher interface. The mechanical qualification and thermal tests are traditionally the greatest hurdles that a satellite must clear en route to the launch pad. “Adam” and “Anastasia” — the third and fourth Galileo FOC satellites, named after Adam Vaughan of Ireland and Anastasia Panagiotakopoulou of Greece — are currently undergoing function testing at OHB’s clean rooms in Bremen, after which they will be shipped to the testing center at ESTEC. The production of the next satellites is also well advancing at the OHB production site in Bremen, according to the company. 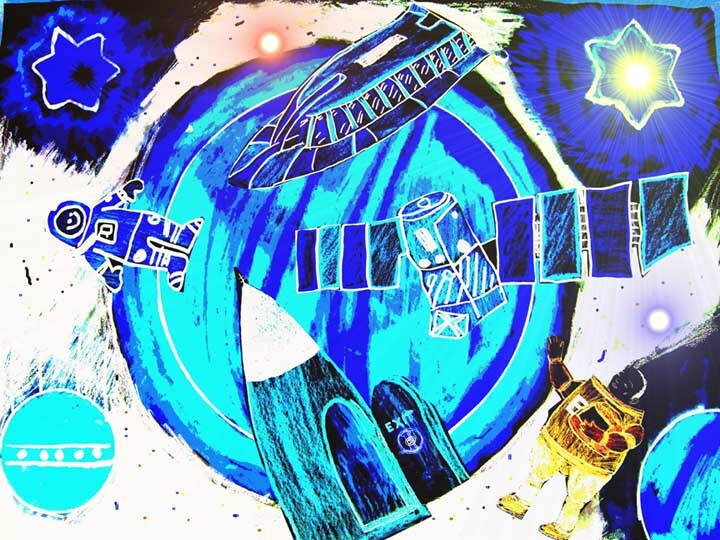 The gallery of Galileo satellite paintings from the 2011 competition may be viewed on-line here. 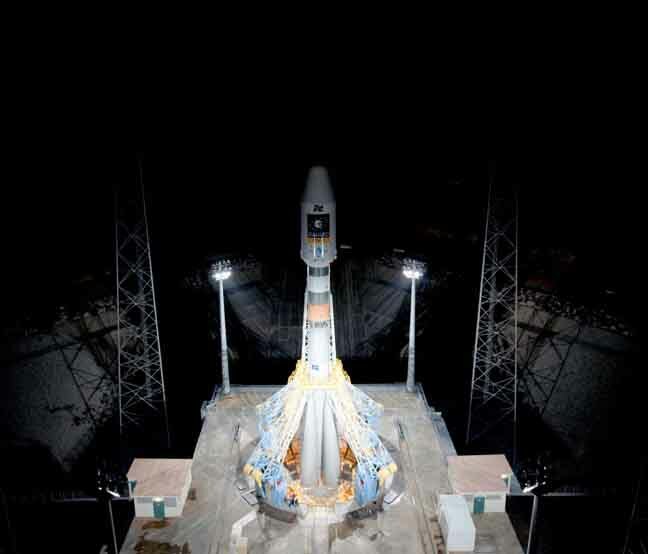 The FOC phase of the Galileo program is funded and executed by the European Union. The European Commission and ESA have signed a contract under which ESA acts as the development and sourcing agency on behalf of the Commission.